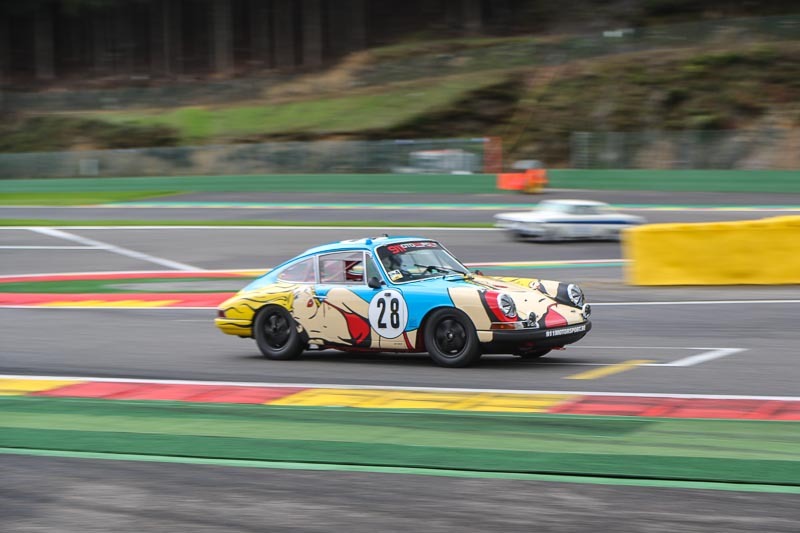 The participants of the Spa Six Hours had the opportunity to get familiar with the Spa Francorchamps race track. An ideal opportunity to do some last testing with the cars that are entered in the different series of the Spa Six Hours that takes of Friday September 15 at 09:05 am. The practice day has several stints of 45 minutes, and participants were allowed to buy entries for all of these sessions. Unfortunately we didn’t spot the Porsche 904 Carrera GTS (904-047) that will start in the Spa Six hours race on Saturday at the track during the practice day. There were however quite some Porsche 911s that went on the track in changing weather conditions. Some stints started dry, but after just some minutes the water started pouring down. Not the ideal weather conditions but that is exactly what the drivers can expect at Spa- Francorchamps. High-tech soft top for the new Porsche 911 Carrera Cabriolet.